FUNABASHI, CHIBA PREF. - Kitasan Black fans rejoiced when the race favorite, ridden by jockey Yutaka Take, captured the Arima Kinen at Nakayama Racecourse on Sunday and ended his notable career on a high note. The 5-year-old colt, who was the leading vote-getter in the fan-chosen race for the second year in a row, sprung out of the box to an early lead and never relinquished it, sprinting to victory in the home stretch and finishing in 2 minutes, 33.6 seconds. Queens Ring took second place 1½ lengths behind, and Cheval Grand finished third by a nose. “I’m so happy. I wanted to meet the fan’s expectations, so I wanted to win no matter what,” said Take, who has shared six wins with the stallion since last year. 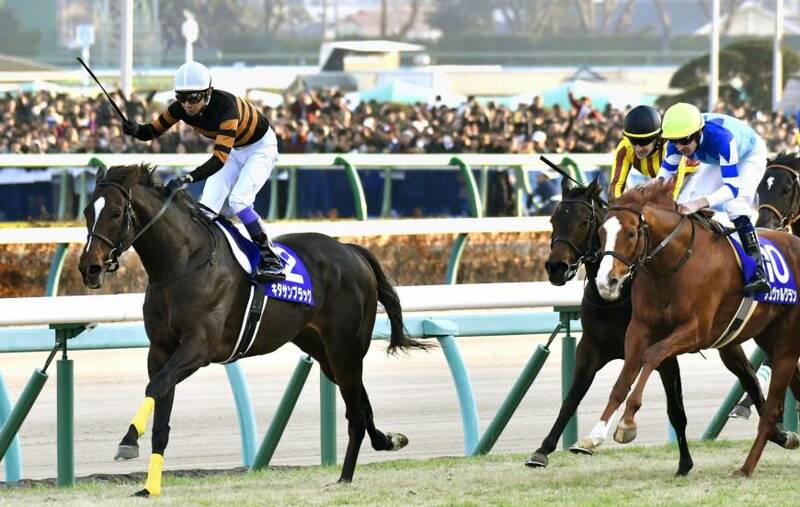 Sunday’s win gave Kitasan Black his fourth Grade One victory of the year and seventh overall, tying the record for the most G1 wins in the Japan Racing Association. He won 12 of his 20 starts since 2015. After winning ¥300 million ($2.6 million) in prize money for the race, he brought his total winnings to over ¥1.8 billion ($15.9 million).